During this past Shabbat and Annual Meeting, I shared my philosophy of Unique Torah — how the Unique Stories of our lives can turn into the teachings of our Unique Torah when we share it and connect it so something greater than ourselves. This philosophy is not only predicated on expanding the definition of “Torah” from the Torah read on the bimah to the Torah (i.e. teachings) we learn from our relationships and our personal experiences of life, but also to seeing this expanded definition of Torah as having the potential to be exalted, godly, and divine, as if it was also revealed by God at Mt. Sinai. Tomorrow morning’s First Day of Shavuot morning service WITH YIZKOR, 10 am at the synagogue — as is our tradition, we will focus our communal observance of the holiday on the first day so that we can read how God revealed God’s self with the giving of the 10 Commandments. We will also be reciting Yizkor, with an opportunity for individuals who lossed a loved one over the past year to share some Torah from the lives of their loved ones. Second Day of Shavuot — NO communal services, but I encourage each one of us to learn a little Torah during the day (however we personally define the word “Torah,”) and then share it with our community in our Facebook group,“We Are Beth Mordecai”). 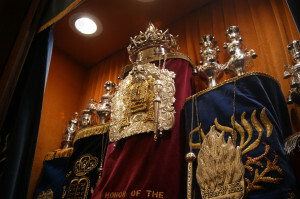 May this holiday of Shavuot help us discover how Torah in its many forms, including the Unique Torah of our lives, can also be God’s revealed Torah.